Finding the safest wallet for IOTA coins is going to be important. The right wallet can protect your investment, guard against hacks, and give you the ability to use your tokens as you like. This guide presents the best IOTA wallets, which you can use to protect your MIOTA funds. Created by the IOTA team, Trinity is the official desktop wallet for the IOTA network. It’s important to understand that Trinity only supports MIOTA coins. Therefore, it’s not a multicurrency wallet. Even so, Trinity is quite user-friendly and gives users the opportunity to send, receive, and store their assets. To send MIOTA, users only need to provide a proper address and the amount. On the main page, they can view the transaction history as well as a price trend graph. Anyone can check value pairs for various cryptocurrencies such as BTC, ETH, USD, and EUR. With the Trinity wallet, users are able to create more than one account. However, each account created must come with a unique, 18-character “seed” that serves as the master key to their funds. Creating the seed is simple, as users can personally pick some of the characters at random. It’s also advisable to create a backup for the seed by copying or printing it out. Importantly, Trinity wallet embraces a two-factor authentication (2FA) as an additional layer of security. Another thing to note about the Trinity wallet is its ability to support multiple languages. It’s also possible to customize it with various themes and to use it in a simple or advanced mode. Supported operating systems are: Windows, Mac, and Linux, but also Android and iOS through TestFlight. Nelium is arguably IOTA’s best mobile wallet. Created from the original IOTA wallet, Nelium seeks to initiate a frictionless approach to trading. While the traditional wallet involved many steps, such as the creation of a new address and trading nodes, Nelium is straightforward and only requires the amount and an address to complete a transaction. Besides, Nelium has a unique feature of keeping addresses in the user’s address book, where they can be accessed daily. Since the app is able to access the user’s phone book, it provides an automated way of storing multiple addresses. While traditional IOTA wallets required manual management, Nelium enables easy tracking by connecting to different users automatically. To ensure maximum security of users’ funds, the seeds remain within the wallet and never go to any other server. Besides, users are allowed to back up their seeds in several ways including a USB stick or paper wallet. Maintaining different types of IOTA nodes helps developers make the trading process more efficient. By the time they release the official wallet, they plan to include 15 IOTA nodes, each having 20 GB RAM. This will enable users to sidestep the node set-up process. A notable limitation of the Nelium wallet is that it supports only transactions between Nelium wallets. For instance, users can only send from one Nelium wallet to another. The developers adopted this feature to help them manage a seamless and efficient trading process according to their node management. Even at its Beta stage, Nelium wallet is available for both iOS and Android devices. The GUI IOTA wallet joins the list of IOTA’s best wallets. It works well with IOTA’s user-friendly interface to enable users to access their IOTA holdings fast and securely. The wallet is great for beginners because of the intuitive user interface, which is both fast and simple. Besides, upon downloading the wallet, users have the opportunity to choose whether to run a light node or a full node. It’s advisable for newbies to select the light node because it provides them with the opportunity to use IOTA with no need to use a static IP. Never share recovery seed with anyone: the seed belongs to you, and no one needs it for any reason. Never create a recovery seed on a third-party website: third-party websites are vulnerable, and shady people on the internet can easily compromise your account. Write your seed on a paper and keep it safe: paper-based recovery seed is out of reach of computer hackers. Overall, the GUI wallet is safe. However, human errors could compromise its security. Users are advised to observe safe internet practice to ensure that their funds remain safe. 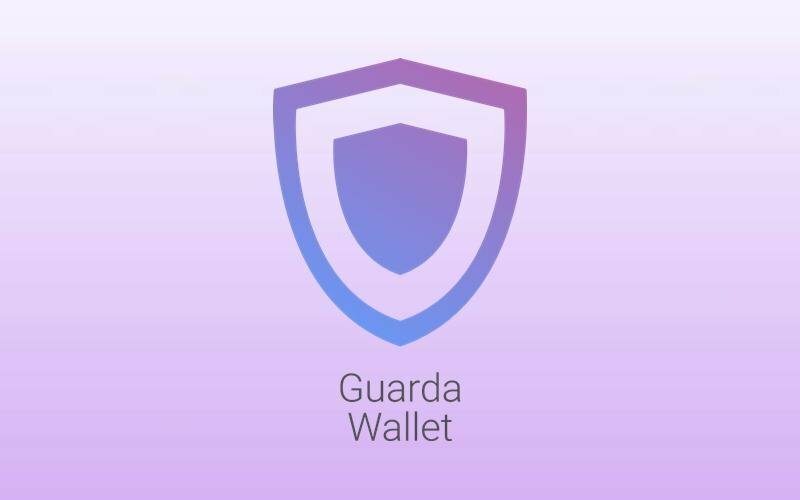 Guarda is one of the devices that pioneered the invention of multicurrency wallets. It supports most of the mainstream cryptocurrencies and tokens, such as Bitcoin, Ether and its ERC20 tokens, as well as other multiple altcoins. The wallet is not safe and reliable but is equally highly compatible, which makes it one of IOTA best wallets especially for Android users. Users of the wallet enjoy top security, being given the opportunity to retain their personal information, wallet data, and private keys. While the private keys remain in the device’s safe memory, it deletes itself immediately a user logs out of the wallet. Overall, Guarda wallet lets users move their IOTA assets from one place to the next. This happens without complex verification procedures, unnecessary limits, or registration. If you’re looking to buy MIOTA using your Visa, MasterCard, or bank transfer, then Guarda is the ideal option. Importantly, the set-up of the wallet is easy. The wallet comes with numerous important possibilities, such as the ability to check transaction history, receive and send currencies, purchase with fiat, and import and export private keys. Other attributes include a built-in exchange, wallet backup, and secure encryption algorithm. Nostalgia is a browser interface that allows users to access their node, create addresses, and conduct transactions. The set-up is relatively easy, and experts recommend the Nostalgia version in Google Chrome as the best one to use. It functions successfully with a working node, which users need to install. More information about the set-up of the Nostalgia light wallet is available on this link. The Nostalgia Light wallet is ideal for users who would not want to run a full node on their computer and would not like to use the GUI wallet as well. In that situation, users can connect their wallet to IOTA-compatible server with PoW (Proof-of-Work) enabled. It’s important to note that not all public Light Wallet Servers can function like this one, simply because PoW is disabled. The Nostalgia Light IOTA wallet also runs on Windows, Mac, and Linux-compatible devices. It has great security features, but users have to master basic coding in order to use it effectively. This makes it a relatively poor choice for beginners and those without proper knowledge of coding. Importantly, the wallet provides the fastest access to the IOTA network, so it’s ideal for users who would like to make quick payments. Make sure you understand the best IOTA wallets and guard your investment so you don’t lose coins. Want to learn more about IOTA and if it’s the right investment for you? Learn more about the IOTA project in this beginner’s guide, detailing project history and token usage and more!